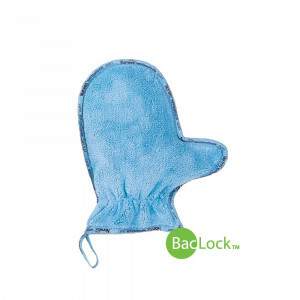 Dusting Mitt With its thick, terrycloth-like texture, the Dusting Mitt attracts and holds dust and other dust-related allergens. Its dense, plush fibres then keep dust from resettling, so your home stays cleaner, longer. Great for quick, chemicalfree, easy dusting throughout the house, including blinds, screens and other hard-to-clean areas. Can be used wet or dry. Kids Dust Mitt available on page 43. Size: 26 cm x 14 cm / 10.24" x 5.51"